If you follow podcasting, you know Edison produces the best annual research on who the podcast consumer is. The 2017 numbers were released this month, so I dove in and pulled out 20 of the top stats to help you craft your own podcast strategy. Download the full report to follow along. And if you're looking to start your own podcast, check out part 1 and part 2 of our how-to-podcast guide. 1. Fifty-six percent of podcast listeners are male and 44% are female. 2. 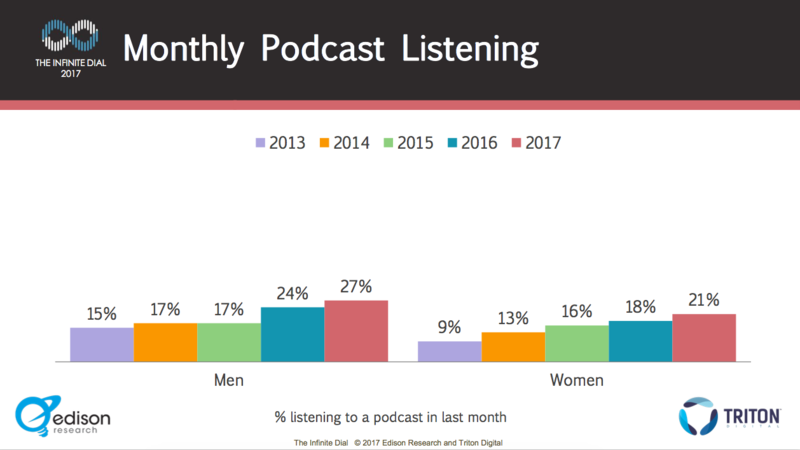 Podcast listening is on the rise for both genders. 3. Consumers aged 18-34 are most likely to be monthly podcast listeners. 4. Monthly podcast listeners are affluent: 16% have an annual household income of $150K or more, compared to 10% of the general U.S. population. 5. 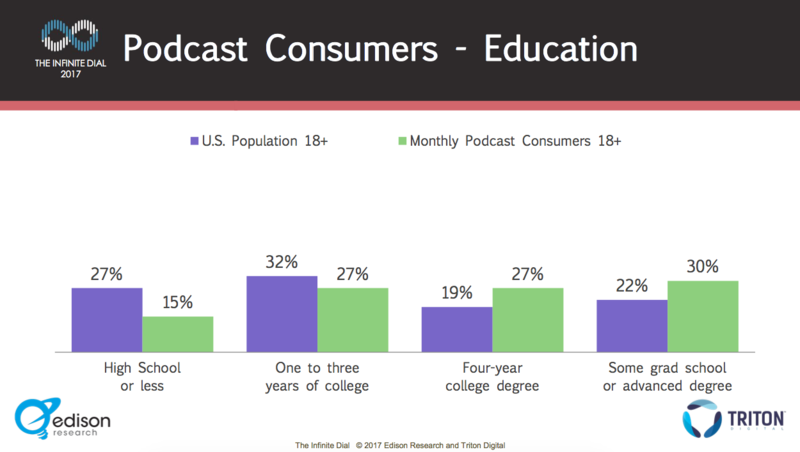 Monthly podcast listeners are educated: 30% have some grad school or an advanced degree, compared to 22% of the general population. Twenty-seven percent have a four-year college degree, compared to 19% of the general population. 6. Monthly podcast listeners are employed full-time: 63% are in this category, vs. 49% of the general U.S. population. 7. 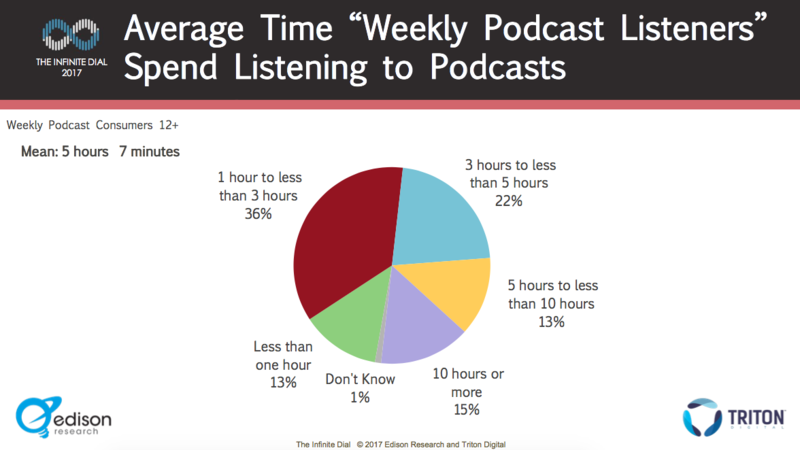 People who are weekly podcast listeners spend a mean time of 5 hours and 7 minutes per week listening to podcasts. 8. Seventy-seven percent of podcast listeners click on a podcast and listen immediately; only 27% subscribe to automatically listen later. 9. Monthly podcast consumers subscribe to an average of six podcasts. 10. 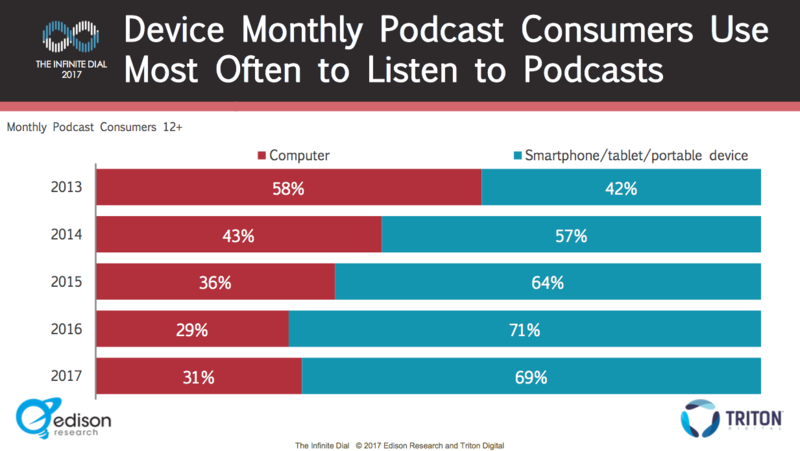 In 2017, just 31% of monthly podcast listeners use a computer to listen to a podcast; 69% use a smartphone, tablet, or other portable device. 11. The most popular place to listen to a podcast is at home, followed by in a car, walking, and at work. 12. Forty-four percent of monthly listeners enjoy most of the podcast; 42% check out the entire episode. 13. Three percent of monthly podcast consumers listen to the beginning of a podcast only. By and large, podcast listeners are loyal and committed to hearing out the full episode. 14. 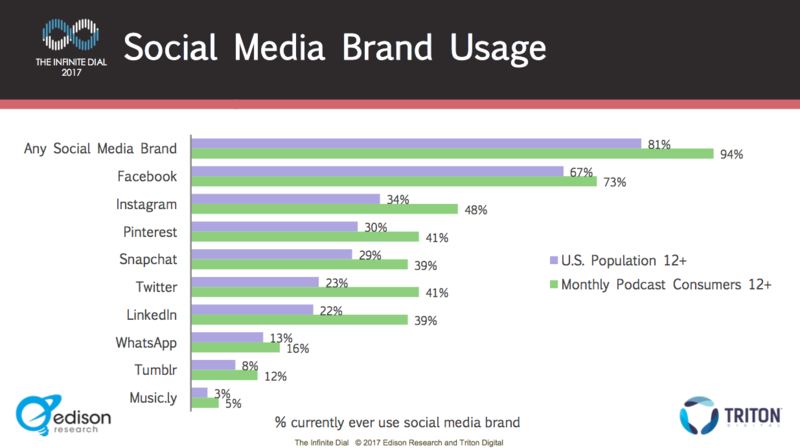 Ninety-four percent of monthly podcast consumers use social media, vs. 81% of the general U.S. population. 15. Forty-eight percent of monthly podcast consumers follow companies/brands on social media, compared to just 31% of the full U.S. population. Interestingly, podcast listeners seem to be more willing to engage with companies on social sites like Facebook and Twitter than the average American. 16. 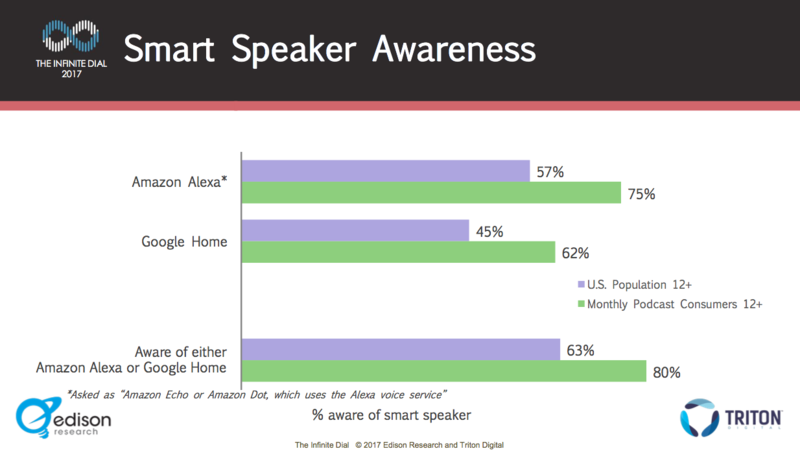 Eighty percent of monthly listeners are aware of Amazon Alexa or Google Home, vs. 63% of general Americans. 17. Sixty-four percent of monthly podcast listeners check social media at least "several times a day," compared to 52% of other Americans. 18. 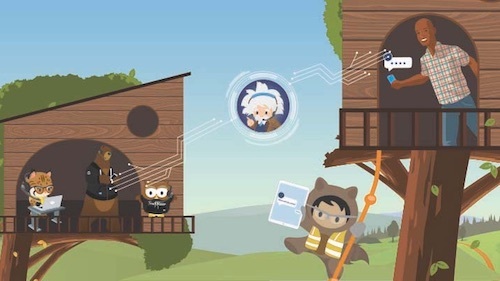 Seventy-six percent of monthly podcast consumers subscribe to on-demand video services like Netflix, Amazon, and Hulu. For the general population, the number is 58%. 19. 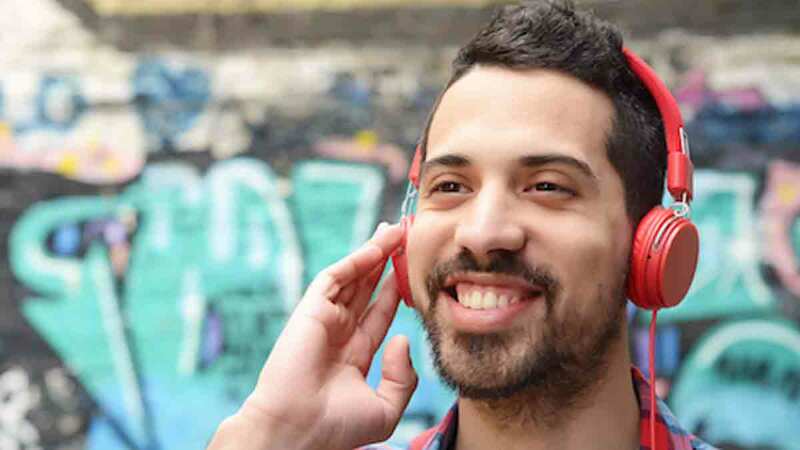 On average, people spend 4 hours a day listening to audio. 20. Americans spend 54% of their audio-listening time enjoying AM/FM radio, while podcast listeners spend 25% with radio. Podcasts have never been so popular, and I truly believe we're just scratching the surface of how stories can be told on this immersive platform. 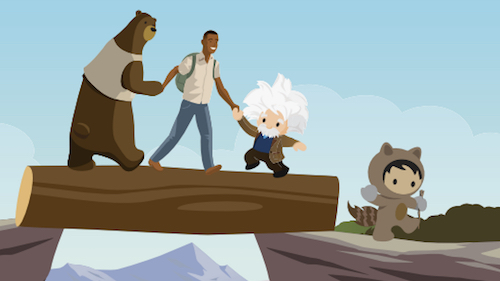 And for marketers, podcasting is a golden opportunity to reach customers in a new and interactive way. 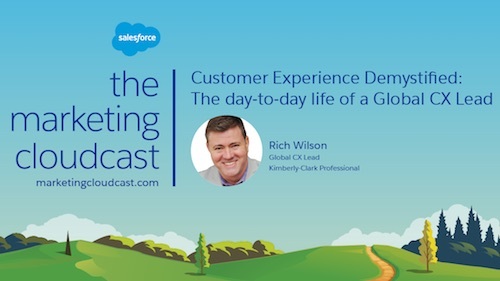 Be sure to join the thousands of smart marketers who subscribe to the Marketing Cloudcast if you'd like weekly marketing inspiration in podcast form.